Even in the off season Wesko ( Dash) continues to make great stories for the media… he is like the proverbial phoenix although ( and don’t mention this to Tim) I highly doubt he will live for 500 years. Or, to be precise, another 485. 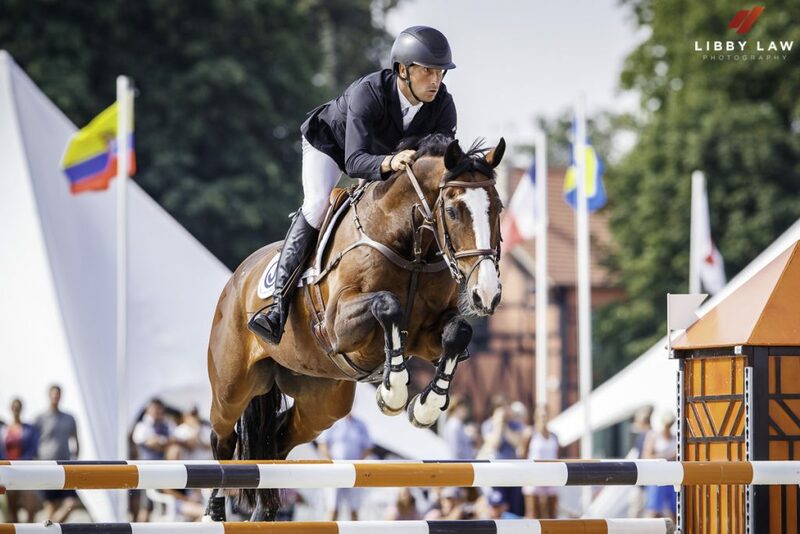 But, in an article headlined “Back from the Brink” in the current issue of Horse and Hound, Dash and Tim find themselves alongside Isabell Werth and the now legendary Bella Rose who came back after 4 years off to win double Gold in the dressage at WEG this summer… and who knows what may have happened had the Kur run. That’s the fairytale and hopefully Dash is following the same route as Tokyo is on the horizon. 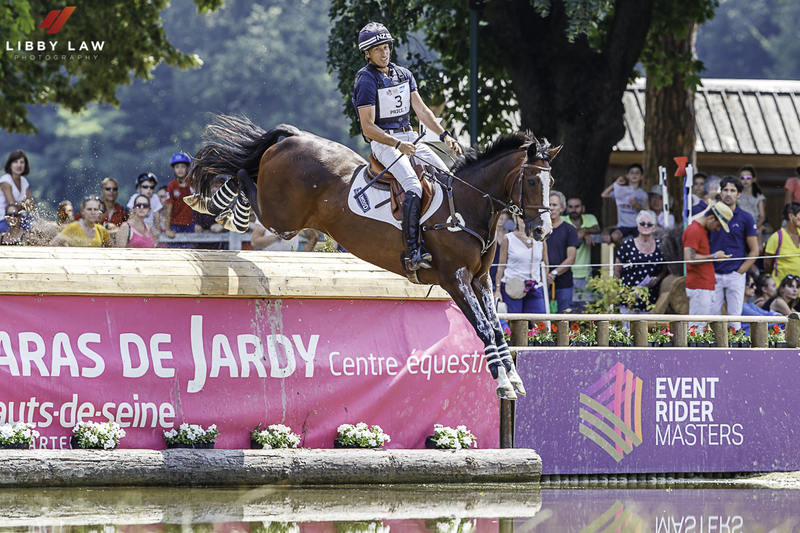 Tim, of course, is typically laid back about the goals and states that “Its about him enjoying himself and me enjoying him” but I defy anyone to look at the photo of Tim jumping into the water at the ERM CIC 3 star at Jardy this year and not doubt for a second that that is pure unadulterated delight! Tim said at the time that “that was the second that I knew he was really back, that I didn’t have to hold his hand, I was sitting on a true international that was loving being back at that level”. 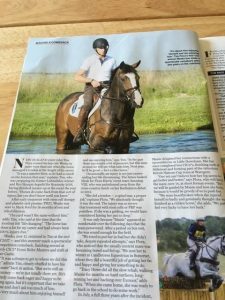 It is a great article (Andrea Oakes) about several horses and it is quite fitting that the photo shows Tim and Dash in the pond at Mere Farm this summer. Unsurprisingly Tim adopts a very natural approach to the whole rehab and after Dash had spent 18 months at Mark Ford’s yard on rest and rehab he returned to Mere where Tim undertook the initial hacking up and down the drive himself. It was a long and slow process and not so many would have been patient enough to allow themselves just two internationals this year and no long format. Mind you, to be fair, Dash was so fat after so long off that in itself was a limiting factor! Dash has had his holiday for 2018 and is now back in work with his old mate Ringwood Sky Boy ( Ozzie) and it’s pretty cool to see the two 4 star winners.. and best buddies.. hacking down the drive together. Winter series: All about Varenna Allen.